UN Photo/Eskinder Debebe Tadamichi Yamamoto, Special Representative of the Secretary-General for Afghanistan and the head of UN Assistance Mission in the country (UNAMA), briefs the Security Council. Tadamichi Yamamoto said those developments included the appointment of a team to negotiate with the country’s former rulers, the Taliban, and the announcement of a peace advisory board representing a broad range of political views, together with recent initiatives by key international partners. The critical task at hand is to allow political space for the main actors to formulate their positions, he added, briefing the Security Council on Monday. “The key next step would be for representatives of the Government and the Taliban to meet, or at least to formally initiate what in mediation is referred to as talks about talks,” he said. “For the sake of a peaceful future of Afghanistan, these opportunities must be fulfilled, and the risks managed,” added Mr. Yamamoto, expressing hope that the current momentum will bring parties together and allow them to explore how they can move towards a peaceful settlement. 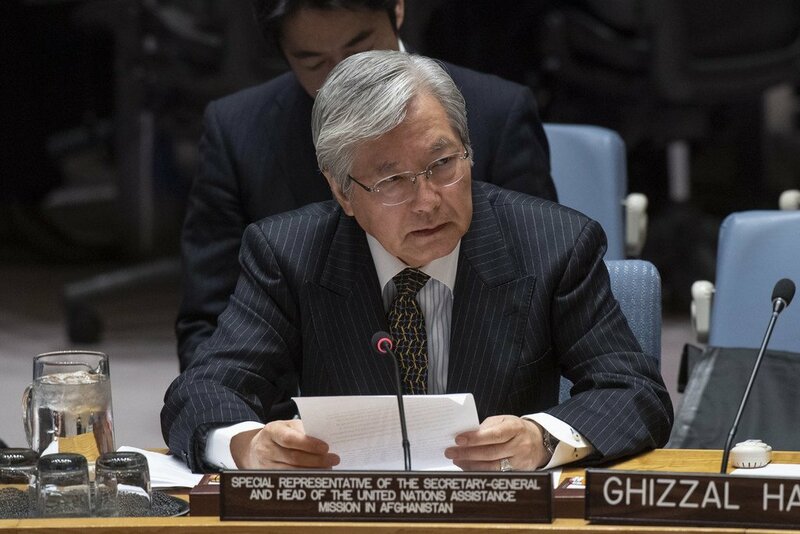 Mr. Yamamoto, who is also the Special Representative of the Secretary-General for Afghanistan, urged countries in the region “to contribute” to create an environment conducive to peace talks, allowing the people of Afghanistan to resolve their internal differences through negotiations. Mr. Yamamoto informed also briefed Council members on October’s parliamentary and presidential elections, the continuing high numbers of civilian casualties, and the need to implement anti-corruption reforms in the interest of economic development. Yury Fedetov, the Executive Director of the UN Office on Drugs and Crime (UNODC), also highlighted the importance of combatting corruption and controlling illicit narcotics in the country. He said that even though the area under opium cultivation – and the quantity of opium being produced – fell overall, largely due to drought, production levels were still high, resulting in “high rates” of drug use. “This poses a grave threat to public health and safety and hinders peacebuilding, economic growth and stability,” said Mr. Fedetov, adding that “balanced responses” to drug supply and demand are therefore critical. The head of UNODC also updated Council members on the work of his Office in Afghanistan, including its work helping with anti-corruption, governance, rule of law, and human rights issues across the country, as well as regional assistance.